Will you stop complaining, for God’s sake, woman! Honestly, I was going to go into another rant on how bored I am drawing flowers. Then I realized, you’re probably bored hearing me complain…so, peace. 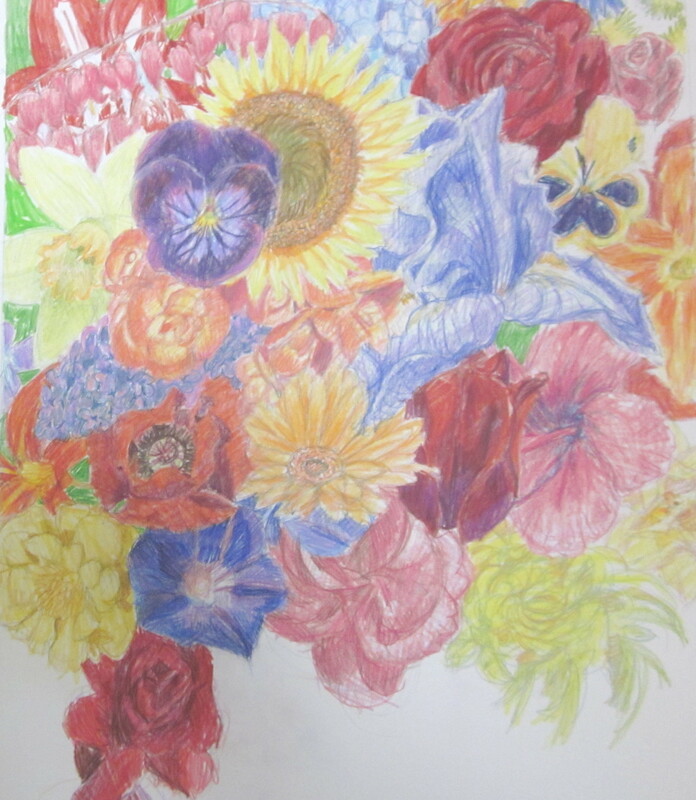 As I go along, though, I find my flowers are becoming more scribbly. It still works, though. I usually don’t show my work this far along (rather give an overwhelming finale), but I’ve come to an interesting predicament I’d like to share. At first, the compostition was easy, the colors just fell into place. But as I reach the finish, every potential move has tremendous consequences. I’m playing chess with flowers, folks! Maybe I should make the left corner a pink flower and continue the line of pink. Or perhaps I should make it blue and balance THAT out. Or maybe I should just have a good night’s sleep, a cup of coffee in the morning. Yes, that’s it! That’s got to be it. Bitchin’ and moanin’ about flowers? Now I’ve heard it all! And here I am, looking for a non-existent “LIke” button again. My artwork, my words. Enjoy!